It's just a pleasant place to relax, watch people and get away from town. 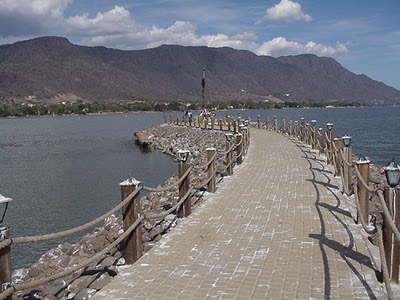 I also see why people from Guadalajara come her - it's the country and the lake. 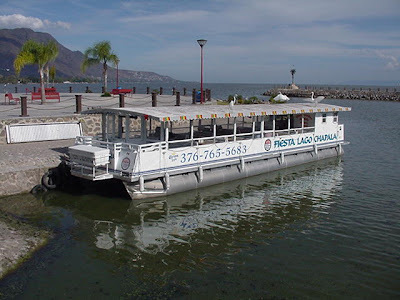 They removed the lirio from the harbor and the tour boat is back in action, I assume for the holidays which continue here in Joco through most of January. The boat ride just goes down to San Juan Cosala and back. 60 pesos for adults and 30 pesos for kids. Might have to do it one day. 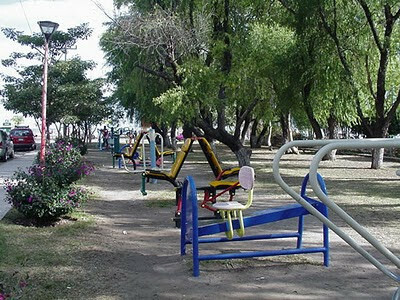 What looks like a kids playground in the park is actually exercise equipment of a large variety and well built. A few kids were trying to make toys out of them without much luck. 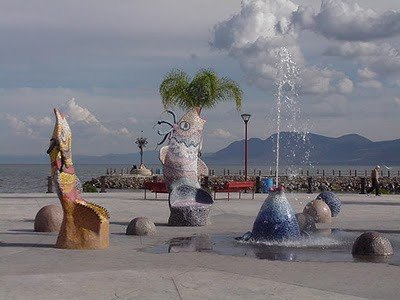 Then there's the neat sculptures, the long malecon and a walk on the pier. This is one place that I'd like to visit! Leslie - come on! Would love to meet you. . .Joco is famous for it's Birria and smoked meats. Tempted yet?